The Lindt HELLO Sweet Kisses is a lip shaped box filled with 20 delicious little chocolate hearts inside. 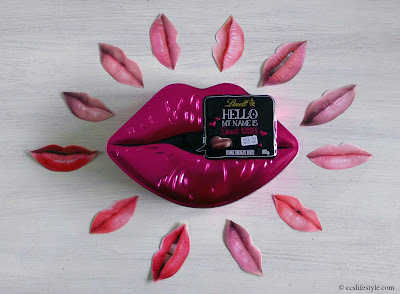 We think its a very creative idea to pack chocolate and show some love to someone, with the pink, slightly opened lips, telling him what to expect inside. The box can also be reused to put away some stuff, like for example lipstick or more chocolate.